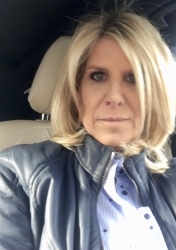 Sands Point, NY, April 17, 2019 --(PR.com)-- Susan Zemser Israel of Sands Point, New York has been commemorated as a Top Executive and Woman of the Year for 2019 by Strathmore’s Who’s Who Worldwide for her outstanding achievements and success in the field of fashion apparel. Susan Zemser Israel is the Owner of 3 Lovebugs/dba Entrée Boutique, which is a fashion boutique in Port Washington, New York. The shop carries women’s and teenage girls’ clothing and accessories. Susan specializes as a buyer and stylist. She is responsible for the overall shop operations, inventory, selling, marketing, management and style decisions. With an impeccable sense of style and a love of fashion, Ms. Zemser Israel collaborates with her clients to help them attain just the right look, accessorizing and personalizing outfits to match each individual’s own sense of couture. From finding those special shoes, belts, jeans, or a blazer, she ensures that her store carries the current fashions that are in vogue, from timeless pieces to vacation wear and professional outfits. Customers often say that rather than feeling that they’ve gone to a store to buy clothes, they feel as though they’ve spent the afternoon with girlfriends having fun. Born in Brooklyn, New York, Susan received her B.A. in Accounting from Baruch College in 1985, and received her M.A. in Education and Psychology, and Early Childhood Education from New York University in 1996. Ms. Zemser Israel is a Board Member of the Business Improvement District and a member of the Hudson River Sailing Foundation. Previously, she worked at Morgan Shareholder Services and the 92nd Street Y Nursery School, of New York City. Susan has three children, Hannah, Elana and Jake, and they reside in Sands Point, New York. In her spare time, she enjoys family activities, sailing and travel.